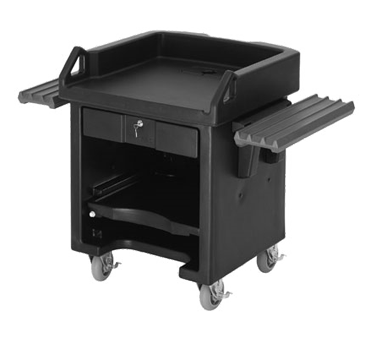 Connect Versa Cart with Versa Food Bar and Versa Work Table or use by itself. Holds electrical equipment such as a computer or check-out terminal. Adjustable shelf can hold a printer. Front panel makes electrical access convenient and the security cable anchor keeps electronics protected. Tray rails easily adjust to a lower height. 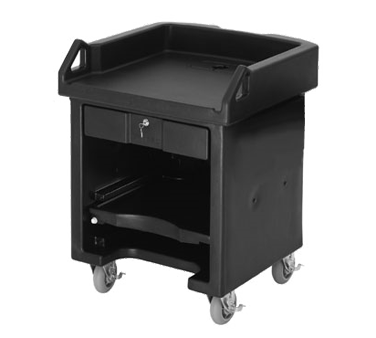 Connect the Cart to a Work Table to create a snack or beverage station.